Power analysis is an essential tool for determining whether a statistically significant result can be expected in a scientific experiment prior to the experiment being performed. 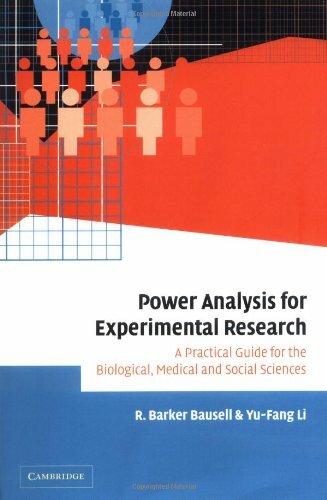 This comprehensive, accessible book provides practicing researchers with step-by-step instructions for conducting power/sample size analyses, assuming only basic prior knowledge of summary statistics and normal distribution. It contains a unified approach to statistical power analysis, with numerous easy-to-use tables that make further calculations or statistical expertise unnecessary. YU-FANG LI is a Data Analyst at the Department of Veteran's Affairs, Puget Sound Health Care System in Seattle, Washington.